“My sessions with Jeanette were incredibly useful in gaining a perspective on what was not working in my professional life and identifying what actions I could take to change things. “I found her clarity and insight really helpful and felt she conducted the session in a strong and compassionate way, challenging yet understanding. “Jeanette’s extensive training, honesty and integrity, has helped support me in my personal and professional development over many years and she remains my go-to source of coaching and mentoring. “I found Jeanette’s approach to counselling really worked well for me. She plays an active rather than passive role during the counselling sessions suggesting books that you might read and lending you ones that she feels might be useful. “She also gave me a piece of writing after each session that was a reflection on our session. The writing was her personal response to what had emerged during each session- it was amazing to have this level of involvement, something I deeply appreciated. Age UK Cornwall is pleased that it has accessed this effective 1-to-1 counselling service, offering ongoing support to our staff and volunteers. We have found Jeanette, whose experience has helped a number of our staff deal with key issues, to be most helpful and supportive, and I would happily recommend Jeanette to other organisations. “I had a series of coaching sessions with Jeanette, when I wanted to make a major shift in my working life. The sessions were very supportive and effective, setting a strong focus on the goals I had set myself and exploring practical ways to get there. “I have known Jeanette Ratcliffe for over 10 years and have been Jeanette’s clinical supervisor since 2012. In these 10 years I have never been given cause to doubt Jeanette’s commitment to her work as a therapist or her professionalism. 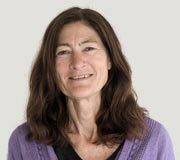 “Jeanette treats each and every client as an individual, never simply applying a way of working with someone but instead integrates all her knowledge and skills to provide a holistic and tailored approach. “I sometimes liken Jeanette’s way of working to the weaving of a complex tapestry as she draws on what the client brings and adds threads of personal understanding, counselling theory and practical experience to create a dynamic understanding of people’s difficulties. This adds light and life to the issues and helps clients to see a way forward.